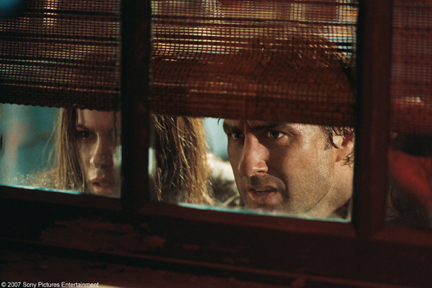 When David (Luke Wilson) and Amys (Kate Beckinsale) car breaks down, they have little choice but to spend the night at a remote hotel. The couple entertain themselves by watching low-budget slasher movies on TV — until they realize that the horrifying images they see were recorded in the room in which they are staying. With hidden cameras capturing their every move, David and Amy must find a way out before they become the latest stars in another film in the series of snuff films.